Cream 10650013 Bella Dress. Feminine, elegant patterned summer dress in 100% viscose. The dress has long sleeves with elasticated cuffs, allowing you to position the sleeves right where you want them. 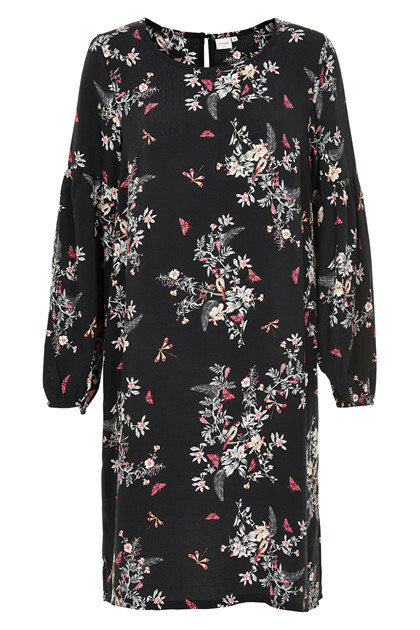 A gathered effect in the middle of the sleeves gives the dress a boho look. Wear the dress with a pair of high heels for those summer parties, or team it with sneakers and denim jeans underneath.